During our two layovers in Toronto (on the way to/from Cuba), Ian and I had 2 main priorities: firstly, to see as many sights as we could squeeze into each 24-hour slot. 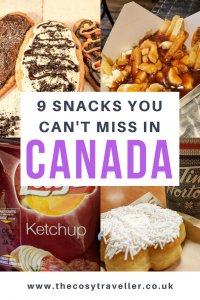 And secondly, to eat as many Canadian snacks as we could possibly get our hands on. Both plans were slightly hindered when, um, I ended up in hospital, but we still had a good old crack at it. 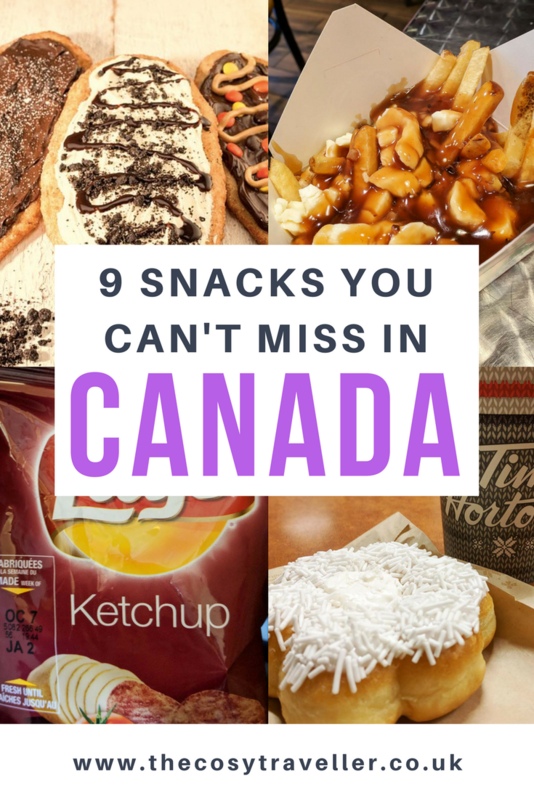 From savoury treats to mouth-watering sweets, these are the Canadian snacks you should definitely try next time you’re over in the Great White North. Long story short, I’m now hooked. Ketchup crisps are the absolute best. Slightly sweeter than you’d imagine, they’re not too unlike prawn cocktail crisps, just with a tangier, tomatoey taste. 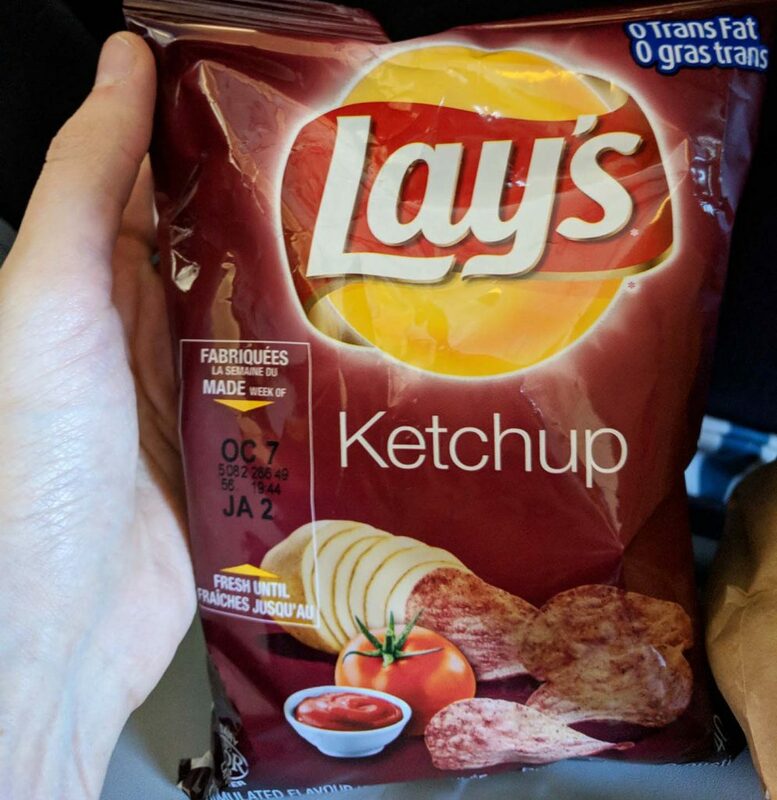 While you can get ketchup-flavoured crisps in the UK, they’re not a corner shop staple. Therefore, my recommendation is to stock up on your packets when you get to Canada. And then send some over to me. Poutine was another weird one for me. It’s essentially just French fries topped with cheese curd and gravy, which seems like a pretty uninspiring combo until you actually try it. 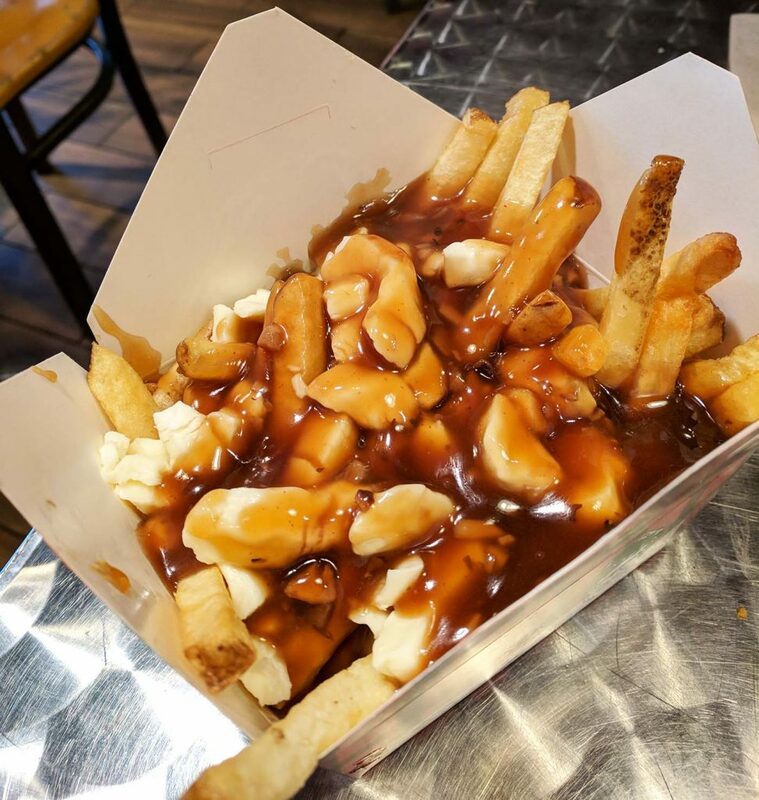 The cheese melts in your mouth, the gravy helps it all go down, and oh my goodness you’ll never be more grateful than when you chomp down on a hearty plate of poutine while it’s down to -8°C outside. 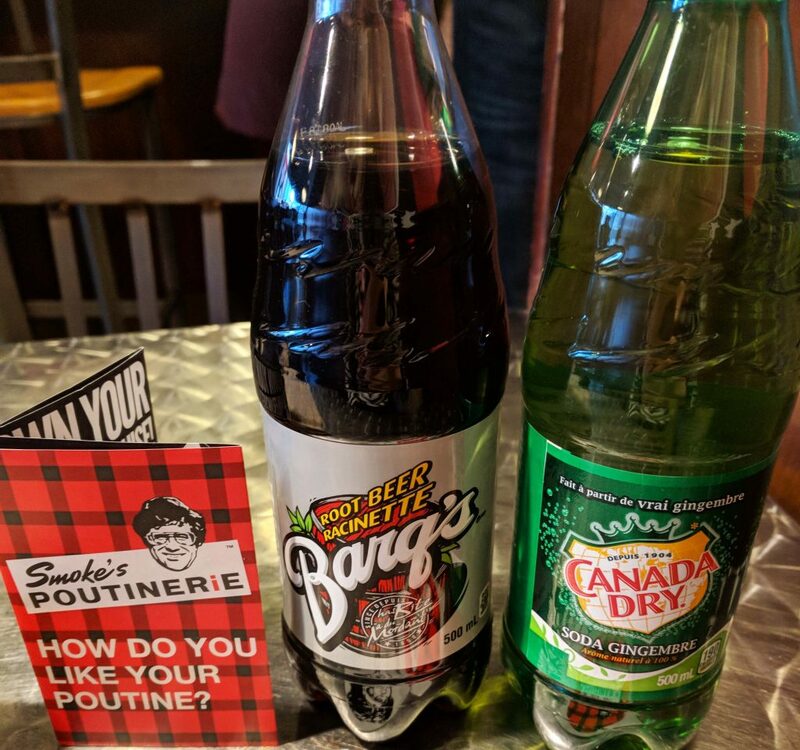 There are so many restaurants specialising in poutine all over Toronto, but we dropped into Smoke’s Poutinerie for ours. There are vegetarian options available, as well as the options to size up your meal! Layers of vanilla wafer and a coffee-flavoured inside make this coffee crisp a must-try when you’re next in Canada. Ian was virtually hooked on these! 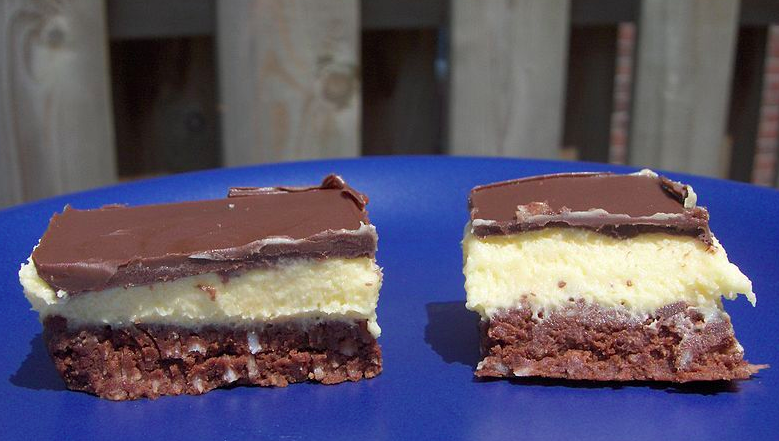 I fell in love with the concept of nanaimo bars years ago after reading about what it actually involved. Essentially, it’s a dessert bar that’s made up of various layers of a wafer and coconut crumb base, a custard flavoured butter icing, and another layer of chocolate ganache. I thought this was something I would find everywhere, but I had to really go looking for it, eventually picking one up in Toronto’s St. Lawrence Market. Maybe someone out there from Canada can tell me if I was being stupid, and that yes you can just pick them up in ~*[insert supermarket chain here]*~. Tim Hortons is to Canada as Pret is to the UK. 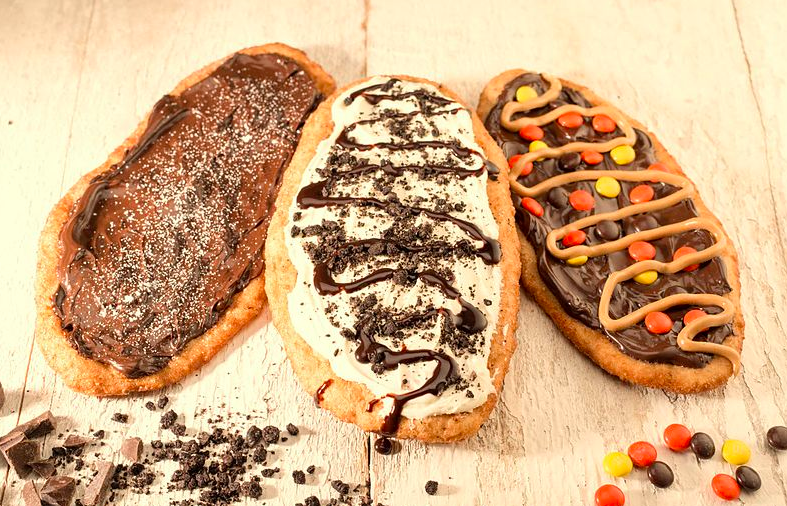 It specialises in quick snacks and drinks, from coffee to doughnuts via breakfast sandwiches. It’s not hard to miss them, as they’re all over Canada and even in the airports. Be sure to try their Timbits – bite-sized fried dough that you can practically pour into your mouth. 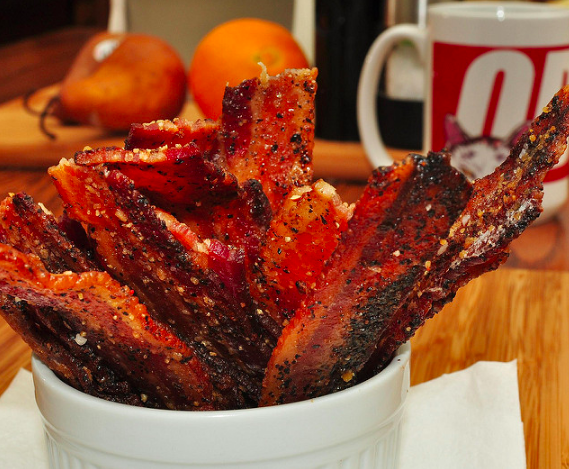 You can get virtually anything maple syrup-flavoured in Canada, but the bacon is a particular novelty. My main question for Canadians (as a vegetarian) is this: can you just buy them in restaurants? In pubs? In supermarkets? Or do you have to make them from scratch? Canada Dry is a brand of soft drink that rustles up a load of products including tonic water and cream soda. Their ginger ale was my real love during our visit. 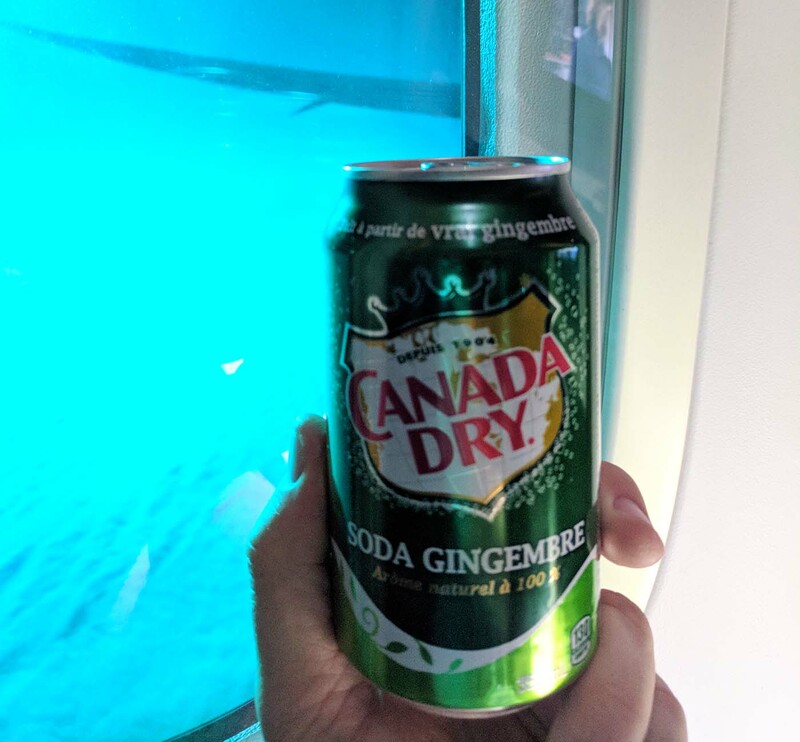 It was actually the first thing I tried, sipping on some on our flight over to Toronto. As a ginger ale lover, I can 100% confirm that this is hands down the best I’ve ever tried! 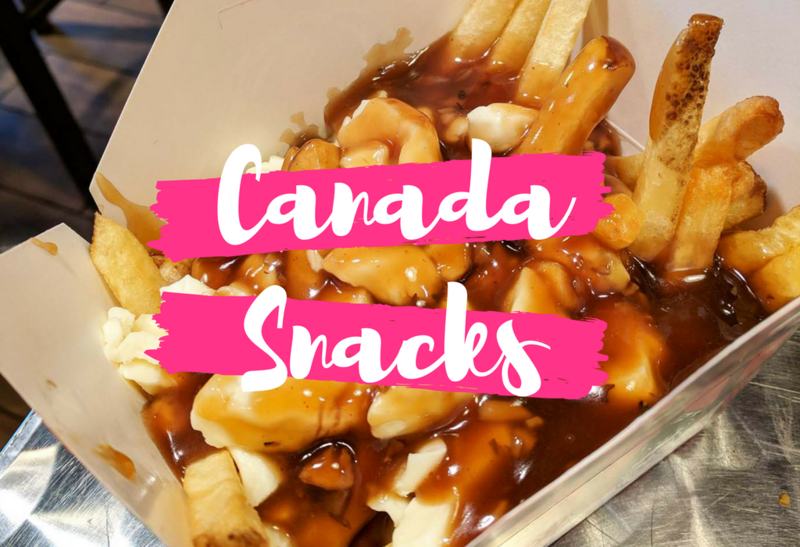 Are there any other Canada snacks you’d recommend trying? You’re making me homesick! I always bring back a bunch of coffee crisps after Christmas break. Great list! More reasons I love my new home! 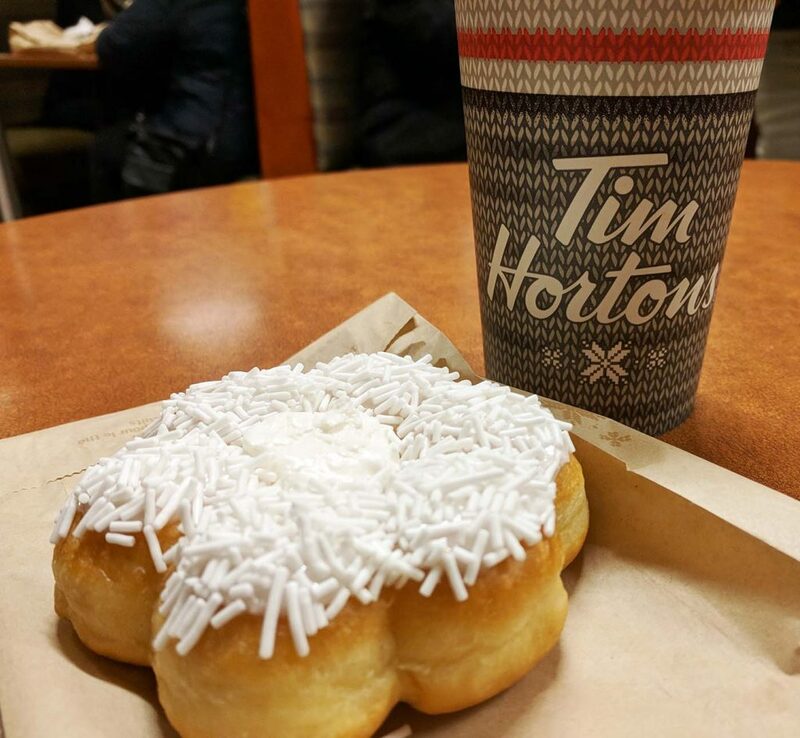 I couldn’t stay out of Tim Hortons when we visited Toronto last year! Tim Bits are amazing!!!! !